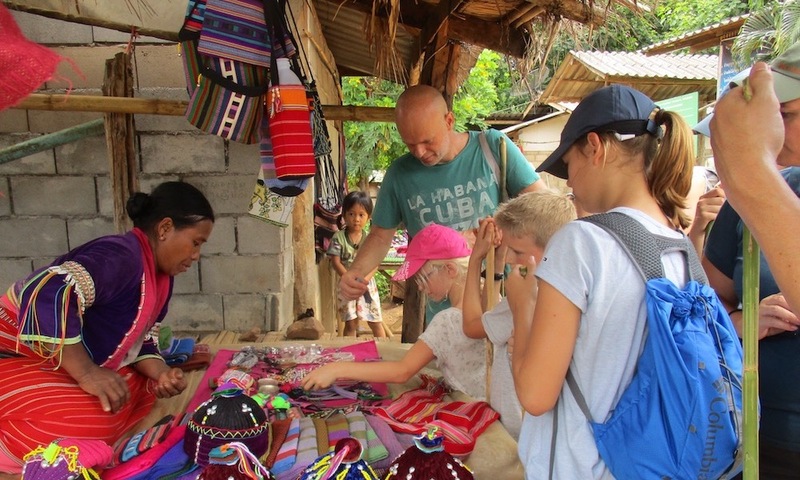 We offer a number of family tours that are specially designed or adjusted to families with children. These tours include trekking but also interactive and educational tours. We constantly do research to find experiences that children enjoy. We offer several trekking itineraries in the Chiang Dao area. This area is very suitable for family tours. There are lots of villages and lots of children. The area is not too mountainous. There are many different trails which enables our guides to be as flexible as possible. The area is easily accessible but still has a remote feeling. In case of evacuation an emergency vehicle has easy access. All this makes the area ideal for family adventures. Safety is our utmost priority. On our family tours the transportation is a vehicle with safety belts. Our guides do first aid training at a Chiang Mai hospital regularly. They are also well aware of the requirements of family trips.